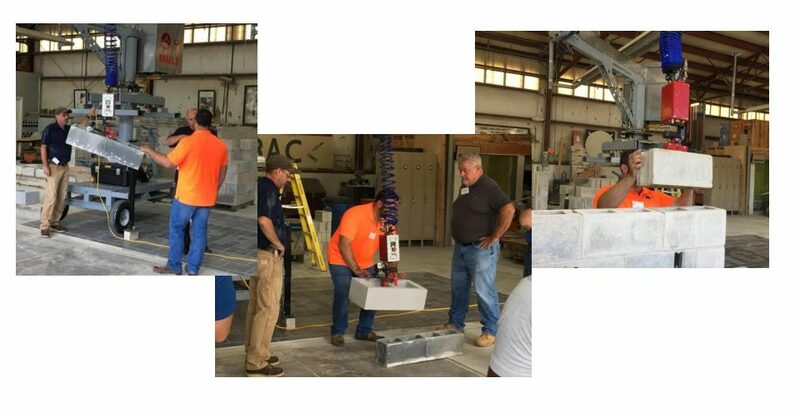 On Wednesday, August 1st, Masonry Contractors of New Jersey sponsored a demonstration of the MULE (Material Unit Enhancer) at the IMI/BAC training center in Bordentown, NJ. The demonstration was given by Sean Fitch, Construction-Robotics. The MULE grips block units and reduces the stress of repetitive movements. Each project is different, but there is always some increase in production. The manufacturer claims increases in production from 75% to over 200% are possible. The MULE can either be purchased or rented; takes only minutes to set up; is free standing with pre-built wheels; and, runs by compressor and regular 110v electricity. Join your colleagues for the 4th Annual ICE Meeting to be held at the Marriott Wardman Park in Washington, D.C., Wednesday through Friday, October 3-5, 2018, as we continue to build upon the important, innovative and engaging conversations had in the past, as well as our traditional first-night social outing! This year’s Eugene George Award will be presented on Thursday evening, October 4th, and will honor Benjamin Capp, Jr., Wolverine Stone Company, with the Dedication Award and Edward Navarro, IUBAC, with the Industry Person of the Year Award. The annual Masonry Design/Build Competition, sponsored by Masonry Contractors of New Jersey, has played an important role in the students’ academic pursuits as part of the NJIT CoAD curriculum since 2003. This year more than seventy students on five teams had the unique opportunity of linking their design ideas with hands-on experience while collaborating with masonry professionals and craftworkers. On April 7th & 8th, the Association will once again sponsor the Masonry Design/Build Competition at NJIT’s College of Architecture & Design. This year the theme is “Temples of Freedom”. The main goal of the project is speculation on the future of masonry. The Kick-Off Event was held on February 28th at NJIT and hosted by Michael Schmerbeck, President of the Association and Back Brook Masonry, a major sponsor of the competition. 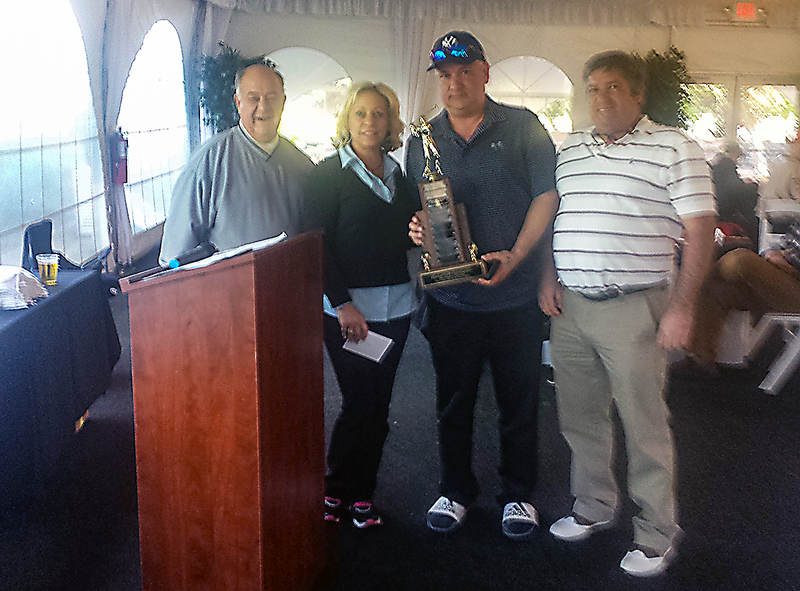 Masonry Contractors of New Jersey held its 24th Annual Golf Outing at the Royce Brook Golf Club in Hillsborough, New Jersey on May 8, 2017. This was the Association’s second year at Royce Brook and it was another great success! Royce Brook, a Steve Meyers Design, managed by Billy Casper Golf, is an Audubon Sanctuary Course located in the heart of Somerset County, and features two acclaimed courses. The private, rugged West Course ranked in Golf Digest’s Top 20 and, the public, parkland East Course, routed through abundant forested areas and wetlands, achieved Golf Digest’s four star rating! The Masonry Design/Build Competition at the New Jersey Institute of Technology College of Architecture and Design was established in 2003. This annual competition is sponsored by Masonry Contractors of New Jersey and co-sponsored by the BAC ADC of New Jersey Labor Management Committee. Design/Build has been part of the NJIT curriculum and one of the most unforgettable events in the students’ academic pursuits. September 7, 2018 – “CountMeInNYC” Rallies Continue! © 2019 Masonry Contractors of New Jersey. - Site Created by Stokes Creative Group, Inc.